Buying A New Car In Perth? Read This! Consumers spend a lot of time researching vehicles before they buy a new car. They look at the latest models, past models, read forums and magazines and try to get as much information on vehicles that interest them before they begin the tedious work of finding the vehicle for sale as cheap as possible and then begin the wheeling and dealing for a better deal. They also have the consideration of their old vehicle. Selling it means a bit of cash to put towards their new car and the space in the driveway that does not hamper the shine of the new vehicle. The process of buying a new vehicle is time-consuming and can be stressful. A vehicle is a large investment; so, take the following tips from Cash for Car Perth into consideration before you begin to wheel and deal. Don’t jump the gun when selling your car. In other words, don’t advertise until you know the value of your vehicle. Get on the net and look at classified sites and other like sites. There are plenty of sites on the net that will help you to determine the value of your vehicle. Look at similar makes and models in similar conditions that are listed for sale.. Also, check the Kelley Blue Book. These sources will help you to determine the value of your vehicle. . You’ll find that with the online calculator sites, they are designed to estimate the value of a vehicle by simply entering information about the make, model, age and condition of your vehicle and will then provide you with an estimate of its value. Your local classifieds are also a good source in finding cars for sale that may match your vehicle for sale. Once you have done your research, you will feel confident in setting your asking price to list your car for sale. As a vehicle owner, you will have different options for selling your car, and they will come down to where you advertise. For some, they might place their car on a corner lot with a “for sale” sign, price and contact information and have the vehicle sold the same day. Others opt to sale their vehicle online through sites like eBay. While, others will choose their local newspaper classifieds; and, yet others will advertise on free sites like Craigslist. All are a good option for selling your car. Vehicle owners also have the option of selling their car to a car removal company. Car Removal companies in Perth offer cash for cars. Your first reaction might be that the companies are only there to cheat people out of the true value of their vehicles. However, that is not the case. Reputable companies like Cash for Car Perth offer fair prices. 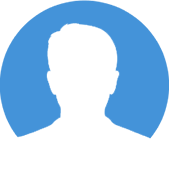 The important factor is a company that is established and reputable and one that has an extensive network of auto buyers and excellent wrecking yards and dismantlers. 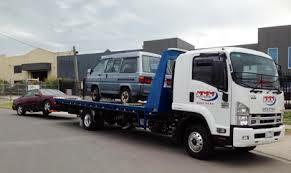 With the right connections in the industry, these companies will be able to offer you the best value for your vehicle; and, for those who know about Perth car removal companies, many are choosing them as an alternative to selling their car. 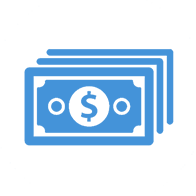 Most cash for Car Removal companies like Cash for Car Perth will accept any make and model of any age and condition; and, pay instant cash. The companies are set up so that selling a vehicle is virtually hassle free for the vehicle owner. The process to sell a vehicle is simple. You simply provide a few details about the vehicle and with that, the company will provide you with a cash offer. 1. You call for an instant car appraisal that is the cash amount the company will pay you. 2. You accept or reject the offer. 3. If you accept, then simply let the company know when you would like the vehicle picked up. 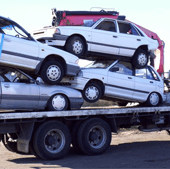 Cash for Car Perth offers same day Scrap Car Removal to all suburbs in Perth. 4. You gather your photo ID and your proof of ownership to the vehicle and simply wait for the car removal crew to arrive. 5. Once the car is loaded onto the vehicle, the crew will put the cash offer amount in your hands. One thing to look for in a car removal company should your vehicle be a scrap vehicle is a company that offers eco-friendly removals. Not only will this mean there will be no damage placed on Mother Earth due to your car ending up in a landfill, but you will receive the best price for your vehicle as it will be recycled, reused and resold. For a fast and efficient car removal, give Cash for Car Perth a call. We will pay up to $9999 instant cash on any removal- that’s any vehicle of any condition. Call us at 0404 422 111.